India. Original steel engraving, engraved by Saunier after Philippoteaux. 1859. Overall age toning. Original hand-colouring. 16x11,5cm. Matted. 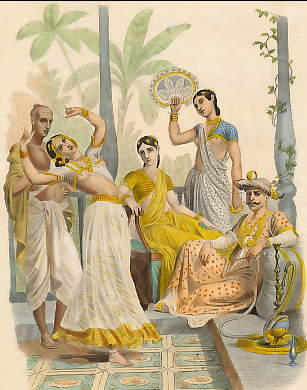 Brahmine, Bayadère, Femme du Raja, Esclave, Raja.